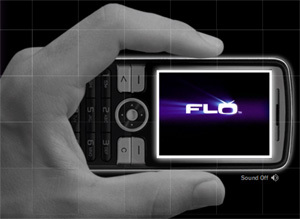 Qualcomm’s FLO TV mobile television service has, till now, been sold as an add-on directly through carriers. Branching out, it is now being offered through a stand-alone mobile device available at a variety of consumer-electronics stores including Best Buy, Radio Shack and Amazon. The 3-inch by 4-inch FLO TV Personal Television device weighs just 5 oz., retails for $250 and delivers 10 to 15 sports and news and general entertainment channels from cable and broadcast networks, including Comedy Central, MSNBC, CBS Mobile, MTV and NBC2Go. FLO TV will pick up the $15/month programming subscription fee for the first 6 months. Te team at Ninthlink loves all things Qualcomm, and we commend their desire for cintuinued expansion, offering content and entertainment in small, compact way. We’ve gotten with the Flo — what about you?